The latest update to the Google Translate app on Android makes translation simpler and faster. 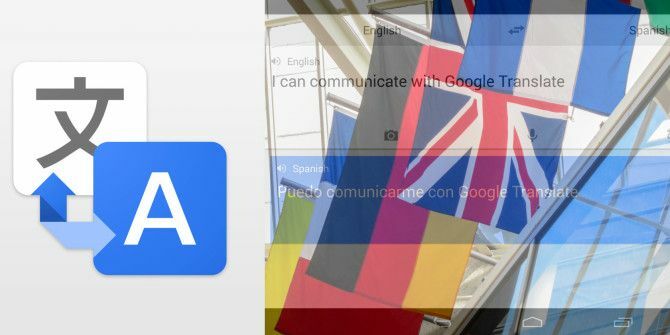 The Google Translate app could be the “universal translator” you were looking for to break all linguistic barriers while travel hopping. It already supports more than 70 languages. It now gets a sleek new look and gesture support. More importantly, you can now have a translated back and forth conversation by catching the foreign language with a press on the microphone icon. Gesture support helps you switch between the translations with a turn of the screen. Product Manager Mathew Gabba says now you can have a fully translated back-and-forth conversation “with very little work”. Additional language support also comes to the handwriting recognition feature – now, write in Hebrew, Javanese, and Esperanto on your device screen and have them translated on the fly. The camera translation feature is also bolstered with support for Malay and Ukranian. You can take a photo of written text (e.g. a signpost) and translate the highlighted words. Google Translate removes some of the worries of travelling to a strange new country. It may not be able to translate everything faithfully, but at least you know that it can handle critical translations like signs, menus, directions etc. The enhanced translated conversations should also help to ride over some of the language obstacles. Explore more about: Google Translate, Travel.